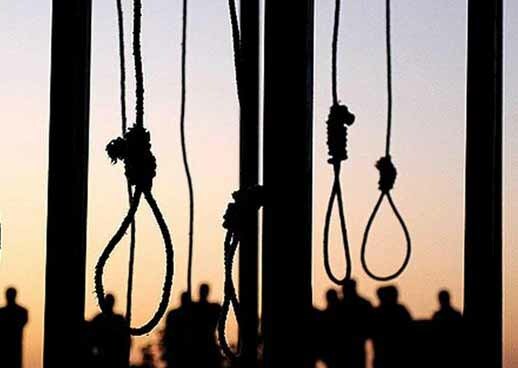 Peshawar : Four men who involved in suicide bombing, slaughtering of people and attacks on soldiers, on Tuesday, Pakistan hanged sentenced to death by military courts for assisting in suicide bombings and attacks on soldiers, officials said. According the report, Zohaib Ashraf, District Police Officer Kohat, confirmed the execution of four terrorists in the Central Jail Kohat on Tuesday morning. A senior security official confirmed the hangings and identified those executed as Noor Saeed, Murad Khan, Inayat Ullah and Israr Uddin. "These prisoners were given death sentence by military courts on the charges of facilitating suicide bombings, causing damage to educational institutions, providing explosive materials to suicide bombers, providing vehicles to terrorists and murder of armed forces personnel," the official said. No details of specific incidents were released. The four were sentenced in April. Local and international rights groups have criticised the military courts established in January, saying they fail to meet the standards necessary for a fair trial and lack transparency. On December 2, Pakistan hanged four men linked to the Taliban's massacre of more than 130 schoolchildren at an army-run school in the northwestern city of Peshawar in December 2014. The attack prompted a nationwide crackdown on extremism, with the establishment of military courts for a two-year period and the resumption of capital punishment after a six-year moratorium.